A Life Bound By Books: Haunted Halloween: Jennifer Archer + A Giveaway! Not really; the morning was actually bright and clear. I was in the kitchen making blueberry muffins for my oldest son who, home for a brief visit from college over spring break, was sleeping in. I was thrilled to have him nearby. The university he attended was 1100 miles away, so he didn’t come home often. Flights from Montana to Texas were expensive and difficult to arrange, especially on short notice. Because of that fact, he’d missed his grandfather’s funeral a couple of months earlier, and I knew that had bothered him greatly. My husband and I had not told our son that we’d stored his grandfather’s ashes on the top shelf of his bedroom closet. In fact, we hadn’t told anyone where we put them. Some people are easily freaked out, and we didn’t want to make anybody feel uncomfortable when they visited. We especially didn’t want our son to be uneasy while sleeping in his childhood bedroom, so we kept the location of the ashes to ourselves. But not for long. Sliding the muffin tin into the oven, I said, “Tell me about it.” I was eager to hear what he had to say. Ever since my son was little, his dreams have been vivid and play out like movies. The last place Tansy Piper wants to be is stuck in Cedar Canyon, Texas, in the middle of nowhere, with a bunch of small-town kids. But when her mother decides to move to the desolate West Texas town, Tansy has no choice but to go along. Once there, Tansy is immediately drawn to the turret of their rickety old house, a place she soon learns has a disturbing history. But its the strange artifacts she finds in the cellar--a pocket watch, a journal of poetry, and a tiny crystal--that have the most chilling impact on her. 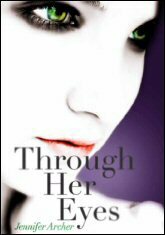 ARC of Through Her Eyes! You MUST complete the form to enter. No entries in comments please they won't count. Comments are welcome, so share your love with Jennifer! THIS CONTEST IS NOW CLOSED!! BUT KEEP COMMENTING IF YOUR TAKING PART IN THE COMMENT CONTEST! Good luck to everyone who enters. If you have any questions, please see my policy page or feel free to email me with any questions. Also, a HUGE thank you to Jennifer for her time, story and donation. 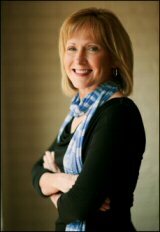 Check out Jessica's Haunted Halloween post with Andrea Cremer. She's giving away a copy of Nightshade! I'm so happy you and Jessica are hosting this event! It's so much fun! That was such a creepy story! If I ever have a relative that gets cremated...well, let's just say I'll be checking my closet for ashes before I go to bed now! I love the cover of Through Her Eyes. It fits the Halloween theme just perfect. Thanks for the contest. Her book sounds perfect for Halloween. Spooky and all. Sounds like a good win!!! Love the cover very cool,great giveaway thank you so much! No, seriously - that would've certainly been creepy to hear your son say that! Beautiful cover on the book. I've never heard of that book. It sounds creepy but I love that premise. I'd probably be too scared to pick that camera up again. I love ghost stories! I can't wait to read Through Her Eyes! Jennifer's true story was nice to read. :) I totally understand about being freaked out knowing someone's ashes are in the same room with you at night. Whenever I stay at my aunts house and sleep in the room where she has her dog and cats' ashes I get freaked. I really like the sound of this book...it fits in so well with Halloween! Lisa and Jessica--this is a FANTASTIC blog event! Thanks for including me. And thanks to everyone for your comments about THROUGH HER EYES and for reading my true "ghost" story. It was actually more cool than scary when it happened, although it took my breath away! I hope you'll enter the contest. I can't wait to send a copy of THROUGH HER EYES to the winner! Interesting short story, very descriptive. It sounds like an interesting ghost story. I'd love to read it! Ooh that one sounds interesting. There just aren't enough good "ghost" books these days! I haven't read any good ghost books in a while, sounds like a great one to pick up! Love the contests so far! This sounds like a good one! Thanks for hosting! But what happened. Did he talk to him? Disappear? Was he freaked out to find out the ashes were in the closet? This book looks great!!! I entered it!!! I can't remember if I have already entered this giveaway. Please forgive me if I entered twice. Great giveaway! I hope your son wasn't too freaked out. I was about 7 years old and home sick from school on the day my grandmother, who lived with us, passed away. She had gone to her room to take a nap, after entertaining me all morning, and simply never woke up again. To this day, I am not sure if that was really her or her ghost! Wow that is really creepy! I got chills! Thanks for the giveaway! Love the cover of this book! Makes it seem very intriguing. Whoa, that is the coolest story ever! (The one the author wrote.) Very creepy indeed. Really want to read this book! Thanks for the giveaway! Thanks for this giveaway! I had never heard of the book but it sounds great. HEY! Thank you so much, to the both of you, for hosting this amazing event. Again, thanks. This is so much fun! Love the cover! It goes so well with Halloween! Oh wow. I want to know how this story ends. Sounds creepy and interesting. Wow. And that is such a pretty and creepy cover! That's weird, but kinda sweet actually, like he's still around. I had to miss my grandpa's funeral because of school too, and I've always regretted not being able to say goodbye with the rest of my family. Great post!